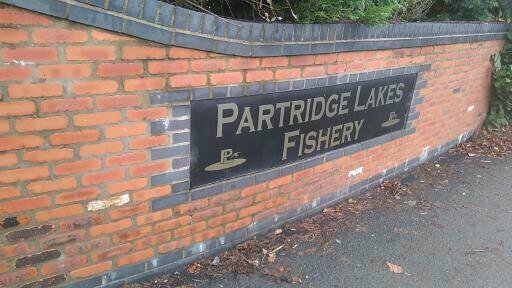 Today was the first round of the teams of four at Partridge lakes and it was to take place on the old lakes plus covey 5+6 which was the waters that i dont normally fish because the opens usually take place on covey 1+4 so it would make a nice change to go on these , the weather leading up to today’s contest had been quite cold a sure sign that winter was on its way and as a consquence the fishing had been rather tough but it was the same for everyone . 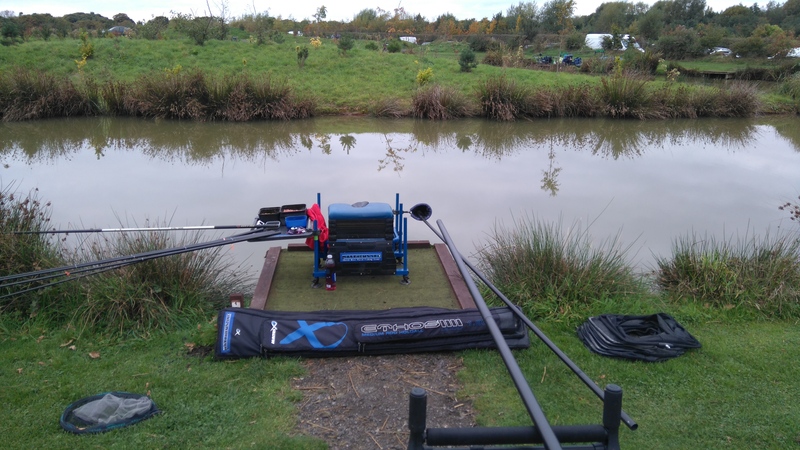 After the short drive to the fishery i met up with the rest of 2+2 team and we had a good chat about what we expected from today’s contest , before we knew it the rolling draw had started so the team captain went to have a go in the bag of doom and when he came back i was on peg 119 covey five , he was on peg 20 ribbon and the other two lads was on spey + covey six i can not remember the exact numbers , we had a couple of reasonable areas but no flyers so with it being the first round we wanted a nice steady match and not to blow out completely like we did last year . 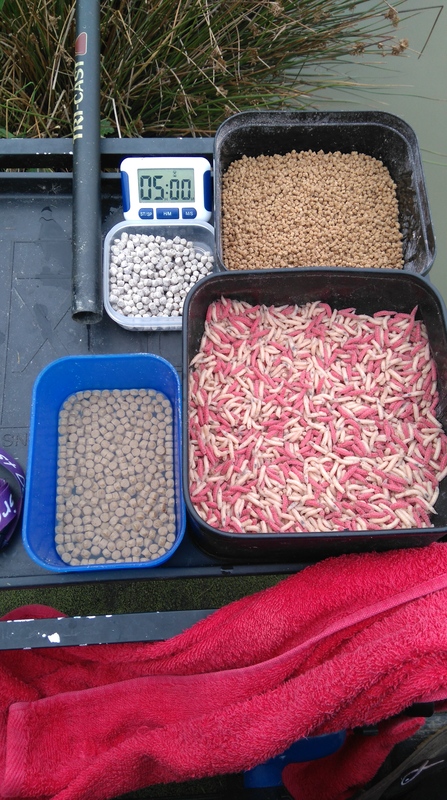 4ft maggot rig this would cover multiple areas of my peg and i used a 4×12 maggie float that had a bulk plus two dropper shotting pattern , i had my usual 014 garbo main line which had a six inch 010 hook length and my hook was a size 18 f1 maggot hook . 3ft maggot rig for fishing further up the far shelf and i didnt expect to go any shallower in the conditions , i used a 4×12 maggie float that had a bulk plus two dropper shotting pattern , i had my usual 014 garbo main line which had a six inch 010 hook length and my hook was a size 18 f1 maggot hook . 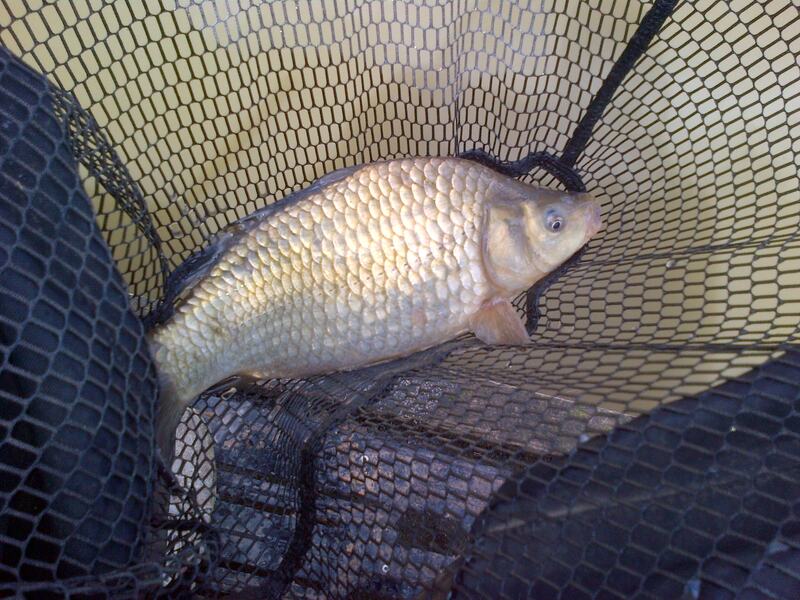 Channel maggot swim and i expected this to be my main swim so i put it six meters too my right , i used a 4×14 maggie float that had a bulk plus two dropper shotting pattern , i had my usual 014 garbo main line which had a six inch 010 hook length and my hook was a size 18 f1 maggot hook . 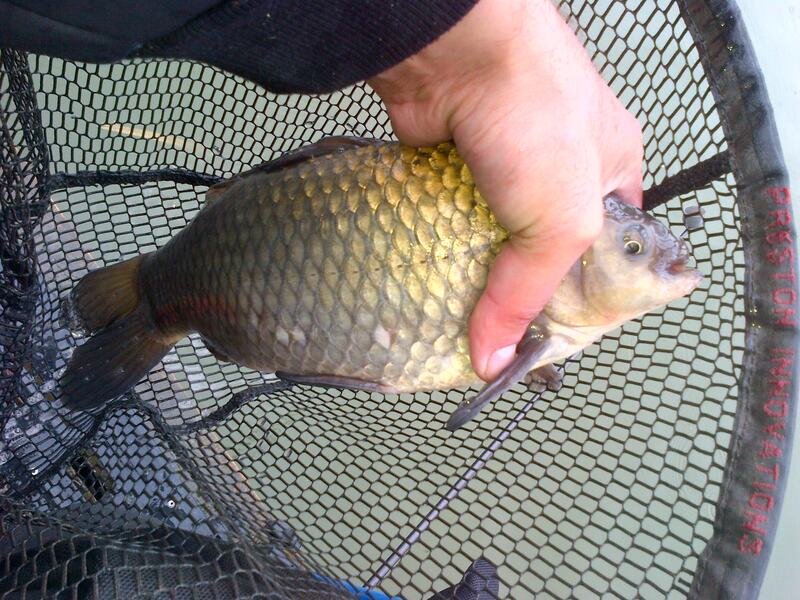 4ft pellet swim like the same depth maggot rig i could use this all other my peg if the f1s decided to feed on pellets today and i used a 4×14 roob float with an inch spread bulk above the short four inch 010 garbo hook length. 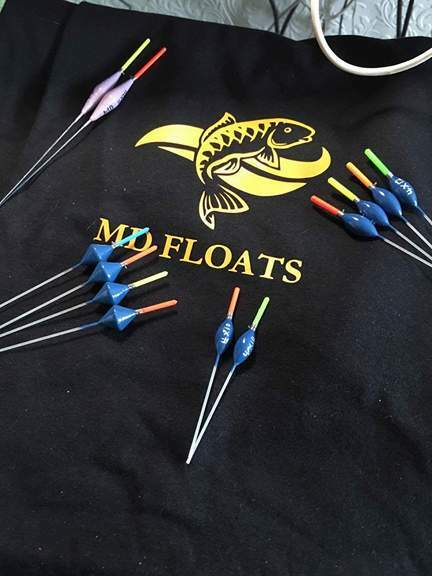 3ft dobbing rig i used a 0.2 matrix series three float with my bulk under my float with just two size eleven stotz down the 014 garbo main line and i had a six inch 010 garbo hook length with a size 16 f1 pellet hook attached . When the all in sounded i began by dobbing a 7mm punch of bread along the edge of the left hand reed bed but even going in to every nook and cranny i couldnt get a single indication even though the lad on 121 was picking up the odd small f1 doing it towards the far bank reeds , so after a bite less twenty minutes i decided to change it to a maggot swim and after tapping in half a dozen maggots i laid my rig in keeping a tight line so my hook bait would fall slowly , it took a couple of feeds before i began getting any bites at first all i could catch were gudgeon but i hoped that they might grab the attention of any passing f1s and to some extent it worked because i managed to catch a couple of 2lb carp in between the gudgeon , i think that i might have got a bit giddy with the amount of maggots i was feeding because after thirty minutes i failed to get any sort of indication so with an hour of the contest gone i had about 5lb in the net which wasnt to bad in the cold conditions . 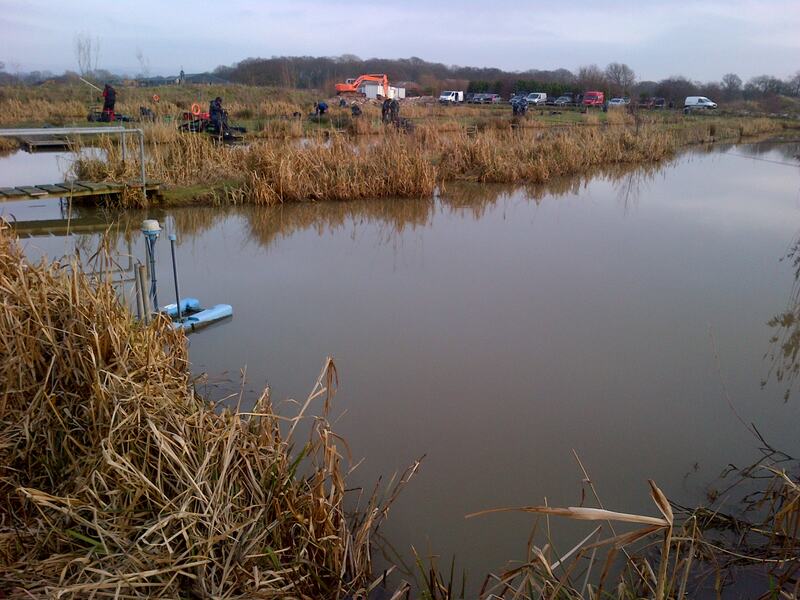 My next swim was 4ft across to the far bank i started on my pellet rig first and i tapped in a nugget of crushed expander then lowered my hook bait slowly over the top of it , the gusty wind was making keeping the rig still hard work but when i managed to stop the pole from moving about i managed the odd indication and i put two or three small f1s in the net , strangely i found if i fed any micros i would just get liners and after foul hooking a couple of fish they backed off out of the swim , thinking about it now i should have gone a bit further up the slope into three foot which might have got me a few more f1s but instead i tried to turn it into a maggot line which didnt really work as i struggled for indications , even after putting in a few different lines across i couldn’t add to my net and it was only when i went into three foot that i started picking up the odd fish again although most of them were small chub . 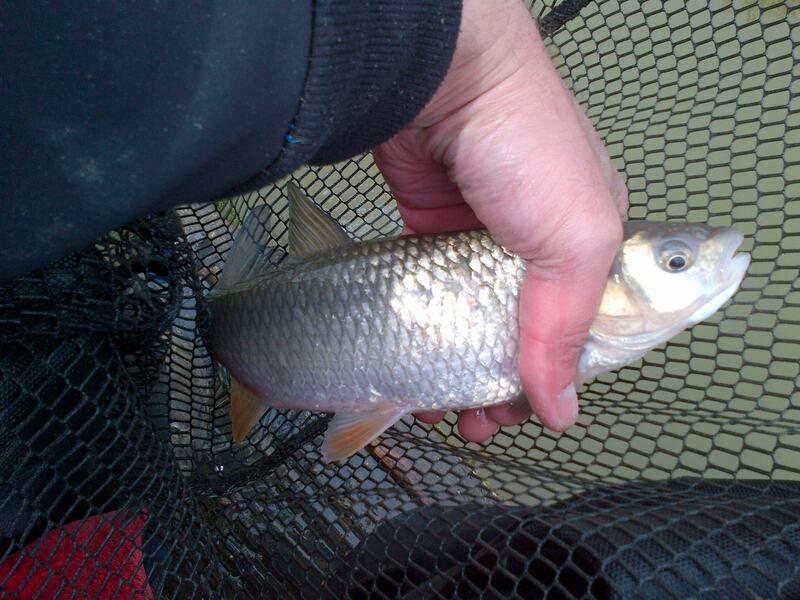 Another look at the side of the reed bed produced a quick f1 and a chub but nothing else , i was really struggling to put a run of fish together from anywhere and i had an hour where i couldnt get a bite from any part of my peg , i wanted to leave my channel swim for as long as i could so that hopefully a few fish could settle on it but with nowhere else producing i had no other option , i managed a couple of quick f1s then it just died on me and yet again thinking about it after the match i definitely over fed it as i was putting in about fifty maggots every half an hour , i did try putting on a couple more sections going further towards my right and being really negative but i think the damage had already been done especially as the lad on 117 was catching well from his channel swim . With thirty minutes of the match remaining i went on to my left hand swim but plumbed up another line towards the back of the reed bed , i trickled in a couple of maggots every few minutes to try to interest some fish and after awhile my float shot under which took me by surprise after the long spell of inactivity , i then managed a little run of f1s right up to the all out and i was kicking myself for not going on it sooner but thats fishing for you . 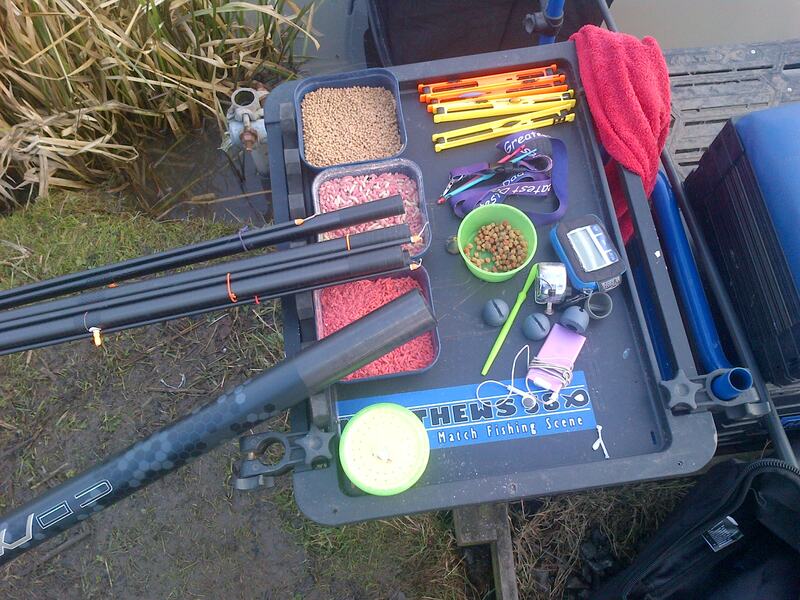 I ended up with a dozen f1s plus a few bits and pieces which i felt wasnt good enough to be anywhere near the top half of the section as it turned out i was correct because my net put me 4th with just 20lb , although i was fairly confident that i couldn’t challenge for 1st as peg 115 had 38lb , 2nd was peg 121 with 31lb who seemed to be catching for most of the match and i thought that he would have a lot more than that weight , but i was disappointed with myself on not beating 117 who had just over 21lb this meant i was only a couple of f1 short and as a few things didnt work out for me today i felt i was a tad unlucky but thats the way it goes sometimes , on the team front we ended up with 14 points as we had two 4th in section and two second in section so not a bad start as we ended up about 8th out of the twenty teams taking part . 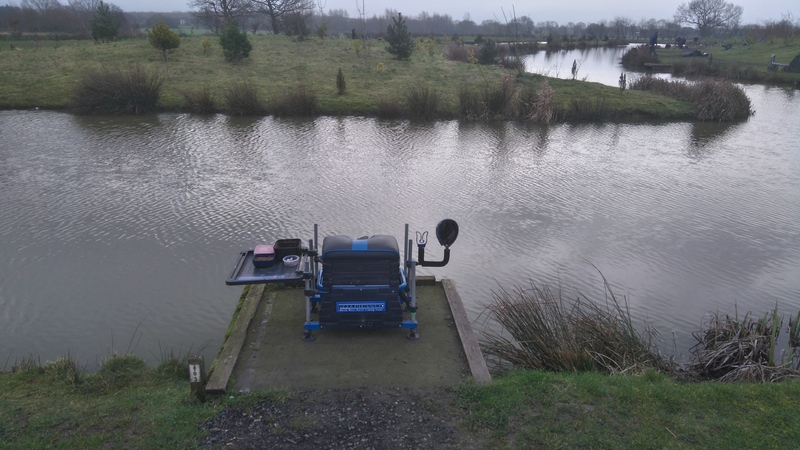 Im off to Old Hough next weekend for the third round of the winter league which is going to take place on Lucky dip + Prospect not my favorite lakes on the complex but i will be trying my best as i need a good result after the last round where i ended up fifth . 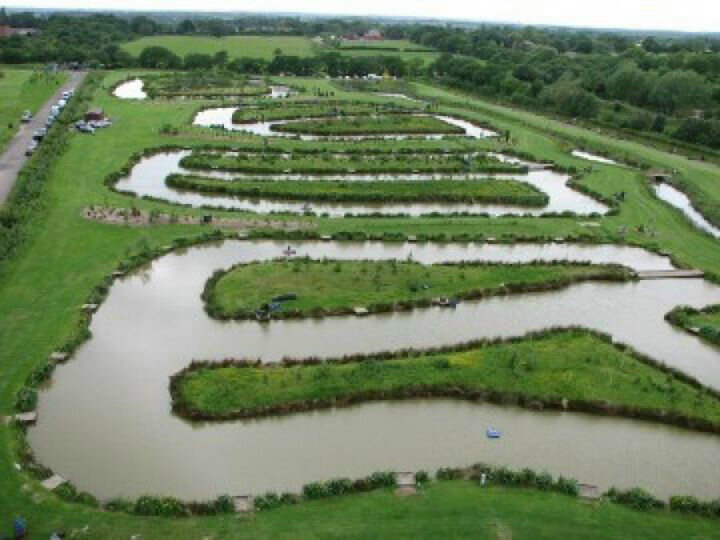 Well sunday soon came round and another crack at the Partridge lakes open was on the cards i had been looking forward to fishing it since my section win last week and i had kept an eye on the recent results , these seemed to have improved every day that was until i saw what the weights were on Saturday because forty pounds was good enough to get you in the top six and as there was over seventy anglers in attendance the limited amount of room no doubt had a dramatic impact on how it fished . The weather today was forecast to be a bit overcast with a light easterly breeze and high pressure not exactly what was required for a good day’s fishing but on the plus side the overnight temps were the warmest it had been for a while so that was a glimmer of hope or maybe i was just clinging at straws in the hope of a good day’s fishing , after catching up with a few lads i knew that hadn’t been here before i joined the queue for the draw and when it came for my turn out i pulled number 107 on covey five not exactly what i wanted especially after finding out my section would be 101,103,105,106,107 so i was at the end of a run of three consecutive pegs and after speaking to a lad who fished the next peg the previous day he told me to go home as most anglers down the long straight failed to weigh in that’s just what i wanted to hear . 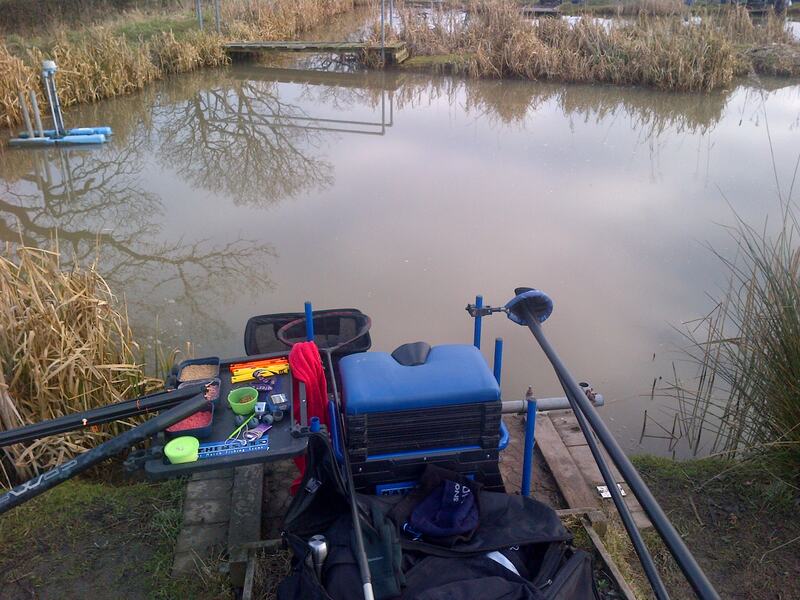 Three foot deep rig , 4×12 malman roob float which had a spread bulk shotting pattern i used 0.14 garbo main line and a short 012 garbo hook length my hook was a size 18 matrix bagger hook . Four foot deep rig , 4×12 malman roob float which had a spread bulk shotting pattern i used 0.14 garbo main line and a short 0.12 garbo hook length my hook was a size 18 matrix bagger hook . 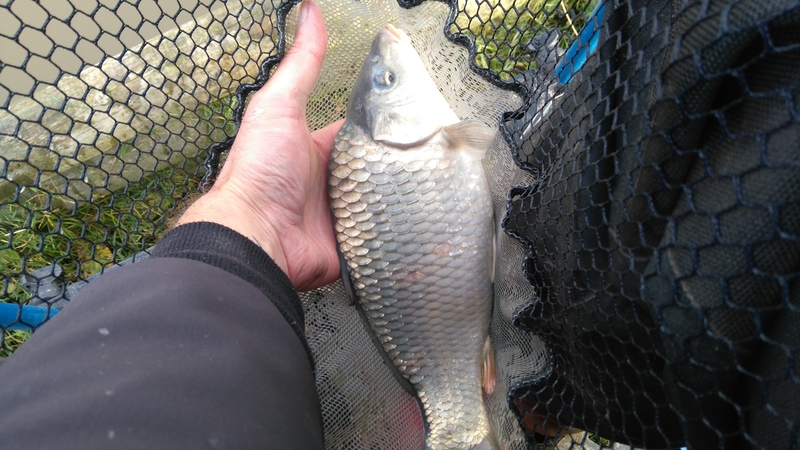 Channel swim , 4×14 malman roob float which had a carbon stem i used a bulk +dropper shotting pattern and my main line was 0.14 garbo which had a short 012 garbo hook length my hook was a size 18 matrix bagger hook . As the all out sounded in the distance i picked up my three-foot rig i decided to start at this depth and not the 2ft i used last week because i felt that the fish might have dropped a bit further down the slope i then shipped out to my far-bank marker where i had earlier plumbed up to find a reasonably flat area and deposited a small kinder pot full of micros before lowering my rig in among it i purposely kept my float still so it would act as a little trap for the f1s , i was expecting lower weights from this part of the lake i decided to increase the time between feeds to five minutes so as not to have too much of a build up of bait before the fish arrived although i made a conscious effort to keep some bait falling through the water as this would hopefully attract them into my peg in the first place . Within ten minutes i had my first tentative indication on the float and not long after my first f1 graced the net another quickly followed which was a lot better than i had expected , a further thirty minutes past without me adding anything to the net although i was certain there were fish present on this line because i kept getting the odd movement on the float i altered my shotting pattern from a bulk to a spread bulk in case they was backing away from the weight of the float but nothing seemed to work which was rather worrying . I decided to set up a new swim at the same depth further to my left towards the empty peg in case they had backed off into the space and yet again after ten minutes i began getting signs on the float before a quick burst of two f1s but i was struggling to keep the fish settled in the swim im sure that my feeding couldn’t be that far off the mark , although the lads around me were also finding it hard going which i suppose was a kind of good thing as there was no way on earth i would have a chance of framing from here so a section was the best i could possibly go for . By rotating between the two swims i picked up another f1 from each and with half the match left i had the grand total of eight fish , the lad on peg 105 had picked up a few better stamp carp from down the margin so i decided to follow suit but after three feeds i still didn’t have an indication this was usually long enough to see if there was any fish in the area . As per usual i had fed half a dozen maggots every five minutes on my channel swim since the match started and i had seen a few bubbles come up which gave me a bit of a confidence boost , i would have really liked to leave fishing this line for the last ninety minutes but i was falling behind in the section and hadn’t had a proper indication for nearly forty minutes so to be honest i didn’t have an option . Yet again though i struggled to get any positive bites and i was missing more than i hit because they were just little dinks as the hookbait hit the bottom , i played about with the way i laid my rig in the water this altered the fall of my rig and i found holding a tight line was by far the best way to help connect with the indications but the only trouble was they were chub not f1s . Rightly or wrongly i decided to increase the feed on my channel swim because i foul hooked a couple of f1s as my rig went through the water and if i could get these back on the deck i could still be in a chance of the section , i felt it would be better to rest this line while i fed it and had another look on my 3ft far-bank swims by doing this i managed to pick up a couple more fish but yet again they wouldn’t settle . I tried my 4ft rig at the bottom of both slopes but after the three feed routine this failed to produce a single indication which i sort of expected as the water wasn’t that cold yet and with just ninety minutes remaining i decided to spend it on my channel swim to see if it could pull me out of the crap again , it seemed that my heavier feeding approach had kind of worked as i began picking up the odd f1+carp on double maggot but it was by no means hectic probably one fish every fifteen minutes . When the all out sounded it called time on a rather frustrating match as i felt that i hadn’t got the most out of my peg as im sure there was fish in the area but i couldn’t find the correct feeding pattern to keep them in my swim , i was the first to weigh in my section and my net went just under 14lb which beat most of the lads down the straight but was next to last in my group of anglers not the best of days at Partridge lakes but I’m strangely looking forward to getting back there i just hope to draw on covey one to four because covey five is a difficult place to get your head round especially if you draw bad .